The FA Cup fourth round replay 2-0 defeat at Newport County might have ended in disappointment for the Middlesbrough supporters who made the trip to South Wales, but the ‘Transporter Derby’ proved to have a positive outcome for building bridges between the two areas. 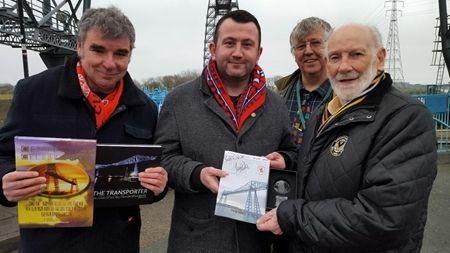 Before the match, Discover Middlesbrough coordinator Rob Nichols and Middlesbrough historian Dr Tosh Warwick were welcomed to Newport’s Grade I listed landmark by Friends of Newport Transporter Bridge Chairman and Newport County President David Hando and Newport City Councillor Charles Ferris. 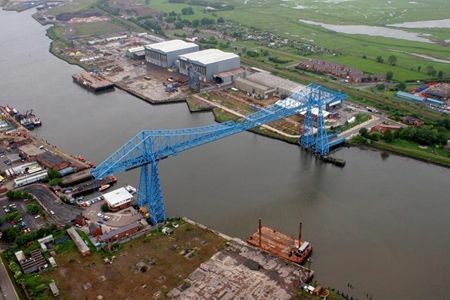 The pair exchanged Transporter Bridge souvenirs provided by Middlesbrough Football Club and Middlesbrough Council with their Welsh counterparts and paid a visit to the Visitor Centre to learn more about the history of the Bridge and £10m National Lottery Heritage Fund-supported plans to help enhance the River Usk structure as a heritage attraction. It is hoped that the visit will help consolidate bonds between the North East and South Wales and develop new connections between the bridges. 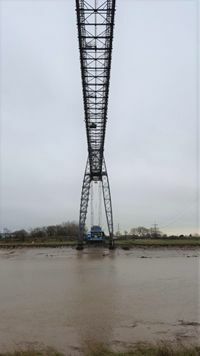 Manchester Metropolitan University’s Dr Tosh Warwick, who previously worked at the Tees Transporter Bridge and is writing a book about the crossing, said: “Visiting the Newport Transporter Bridge provided a first-hand insight into the shared challenges and fantastic heritage of the two structures. 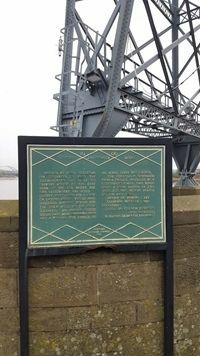 David Hando added: “We were delighted to visit the Riverside Stadium and the Tees Transporter Bridge and then welcome guests from Middlesbrough to the Newport Transporter Bridge and Rodney Parade.